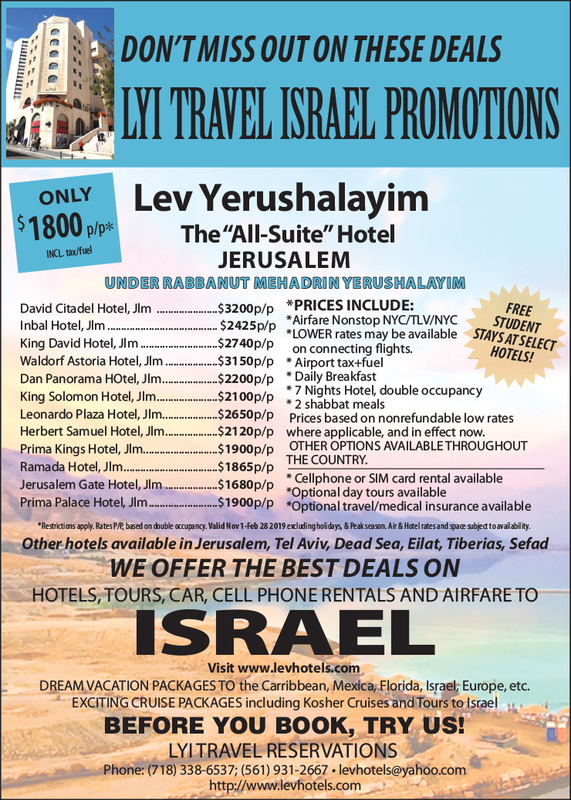 LEV YERUSHALAYIM is a first-class suite hotel at the corner of King George and Ben Yehuda Streets in the very center of the city within walking distance across from the Ben Yehuda Pedestrian Way, Hechel Shlomo, the Great Synagogue, Meah Shearim, restaurants, entertainment and public transportation. All suites and penthouses have one or two bedrooms,a living room, kitchenette, dining area, air conditioning, cable TV, radio and telephone. All kitchenettes are equipped with stove top, microwave, and refrigerator. Kosher sets of dishes are available upon request for a minimal charge. 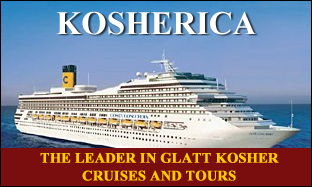 Walking distance to the Kotel and major sites. Daily breakfast 15% service charge & 2 shabbat meals, p/p. *Cell phone - 1 free phone, calls charged as appropriate. LYI Travel can accommodate all your travel needs. we can help you find the best deals! Click here to contact us for more information.